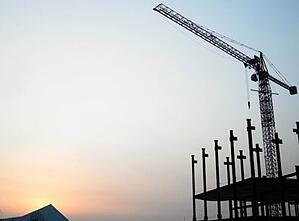 I nfrastructure Modernization is a trendy new phrase you will hear from industry experts and read about in IT-related articles. In simple terms, infrastructure modernization describes a major shift taking place from on premise applications to cloud-based applications. When properly deployed, new cloud-based applications can dramatically reduce your CAPEX spending in favor of low cost software services. One of the best examples of infrastructure modernization is the move to the cloud-based Microsoft Office 365. An analysis of 27 million employees performed by Skyhigh Networks, a cloud security firm based in Campbell, Calif., showed that “in the last two years, Office 365 has eclipsed all other cloud providers to emerge as the most widely used enterprise cloud service by user count,” according to Skyhigh’s 14-page report. Office 365 is a cloud service licensed on a subscription basis. It supports all of the most used Office applications (e.g. Outlook, Word, Excel, PowerPoint) and delivers valuable collaboration and sharing applications; namely SharePoint Online, Skype for Business and OneDrive for Business. When moving to Office 365, you first migrate the ‘live’ email from Exchange Server to a live mailbox in Office 365, and if your organization has a legacy email archive application, you migrate the ‘archive’ email to an Office 365 archive mailbox. Once the migration is complete, you can retire the Exchange Server and legacy email archive system eliminating the cost of expensive annual hardware and software support agreements as well as any additional overhead. Should I move all email content to Office 365 (Exchange Online)? Generally, the answer is ‘yes’. When moving to Office 365, depending on your license plan (E1, E3 or E5) there could be a 50GB mailbox limit. Depending on the current size of your Exchange Server mailboxes, you should plan accordingly. Should I move my inactive (departed employee) mailboxes? 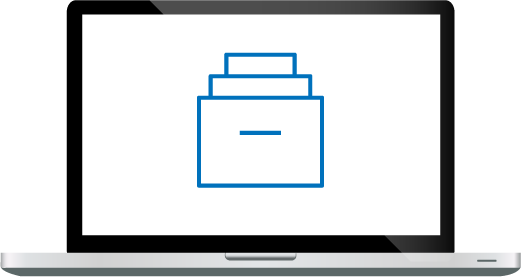 With Office 365, inactive mailboxes are created in the cloud and do not incur a license fee. So there is no economic penalty to move inactive mailboxes into Office 365. Should I move my email archive content? Office 365 has both a ‘live’ mailbox and an ‘archive’ mailbox. Total mailbox capacity is limited by which license you use. If capacity permits, you can migrate all of your archive content into an Office 365 Personal Archive. Should I move my journal data? The answer to this question is “it depends”. Journal data can be stored in Office 365 with some workarounds. I refer you to this article by Tony Redmond, Exchange MVP, for background on this tricky issue however I recommend that you consult with your technology partner. Should I move my SharePoint content to Office 365 (SharePoint Online)? The answer is ‘yes’, but the issue is capacity. SharePoint Online supports 1 TB + .5 GB per subscribed user + additional storage purchased. You can purchase an unlimited amount of additional storage. Should I move file share content to Office 365 (OneDrive)? The answer is ‘potentially’, but like Exchange and SharePoint there are limits to consider. OneDrive for Business provides an initial 5 TB of storage space for subscriptions with at least five users. If you need additional storage, you can contact Microsoft Support to receive more. Archive2Azure is Archive360’s Archival Storage Solution that complements Office 365 for long term retention of unstructured, low touch, or grey data. Departed employees are a perfect example. Email content for these ex-employees’ data can be stored in Office 365 with no individual license cost; however the same is not true for SharePoint Online and OneDrive for Business. Depending on the amount of unstructured data you store, if you exceed SharePoint Online and OneDrive storage limits, you will incur additional cost. 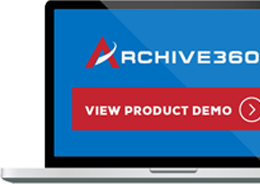 Archive2Azure provides automated retention/disposition, indexing on demand, encryption, search, review, and production – all important components of a low cost, searchable storage solution. Given the clear cost advantages of the Microsoft Azure cloud, it’s no surprise many companies are looking to Archive2Azure as a complement to Office 365 for long term archival of unstructured grey content.